1. The weather has been unbelievably mild for summer. Happy! 2. 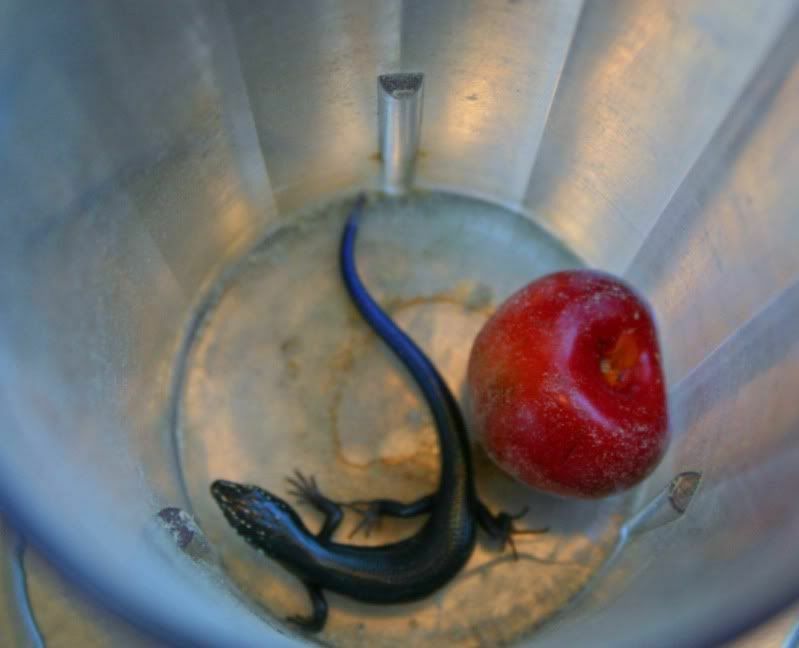 The kids found a little lizard the other day and put him in a (dirty) cup. The Baby put a cherry in there with him. Look at that blue tail! Happy! 3. Pounds lost. Photography business growing. New items listed in my shop. Happy! 4. These little people. Happy! 5. Being done with the flip house. Headed to Missouri this weekend for a little getaway. Happy! So happy that you have so many great little things to be happy about. Don't we all? If we just look around and count our blessings! Life is good! Have a great break! Happy, Happy and I'll probably never see a lizard with a cherry again! Cool salamander!!! Cute kiddos too! spread some of that happiness over here, would ya? Great list Beki! You must have sent all that heat out west- we are having a scorcher summer. Maybe I should have stayed in Kansas, I'm missing the A/C! Have another Happy Day! I'm enjoying the weather too! Beautiful. YAY for happy things! :) I'm pretty happy myself today! LOL. Have a great break! What a happy list! Have fun this weekend! I love your HAPPY list! Have a great time in Missouri! I found the pounds you lost....:(, cool lizard! What a cute lizard and love the color. 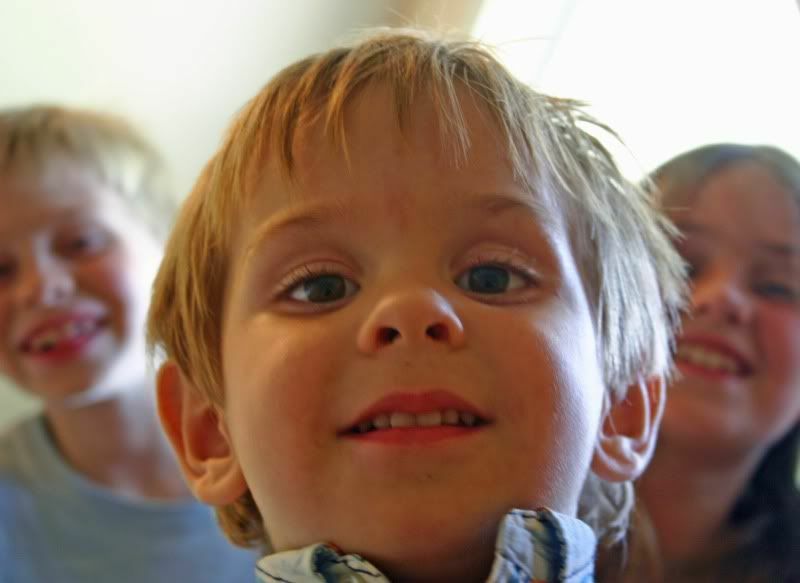 Kids are always a joy to see. have a fun getaway.